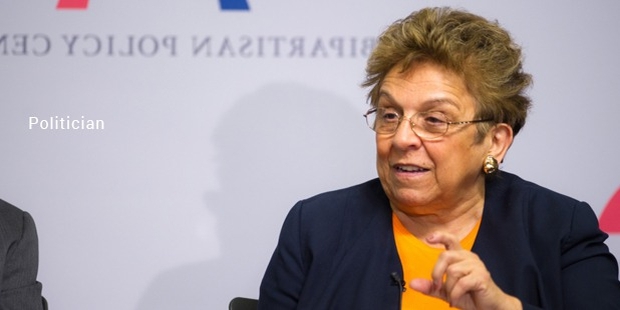 A kaleidoscopic personality, Donna Shalala, the President of University of Miami since 2001, was earlier the United States Secretary of Health and Human Services, for eight years, from 1993 to 2001. In 2014, she announced that she would retire at the end of the 2014-2015 session. She has been associated with various universities previously, including the University of Wisconsin-Madison as a Chancellor from 1988 to 1993. Shalala was born to Edna Smith and James Shalala on 14 February, 1941 in Ohio. From 1962 to 1964, she served as a Peace Corps volunteer in Iran, with the mission of building an agricultural college. She received her bachelor’s degree in 1962, and has done her Ph.D from Syracuse University, New York in 1970. 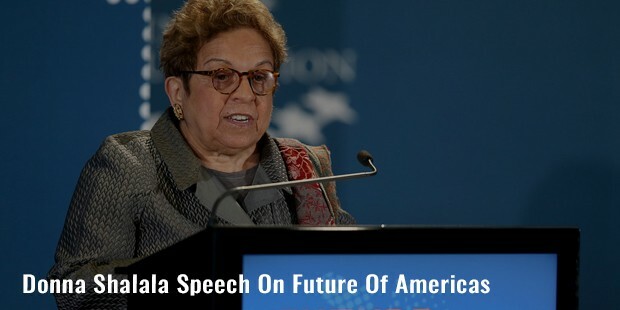 Shalala began her teaching career as a Political Science professor at Baruch College. She worked in Columbia University until 1979 and served as Assistant Secretary for Policy Development and Research concurrently from 1977 to 1980. Shalala served as Chancellor, University of Wisconsin-Madison from 1988 to 1993. Eventually, she was appointed United States Secretary of Health and Human Services by President Bill Clinton in 1993. 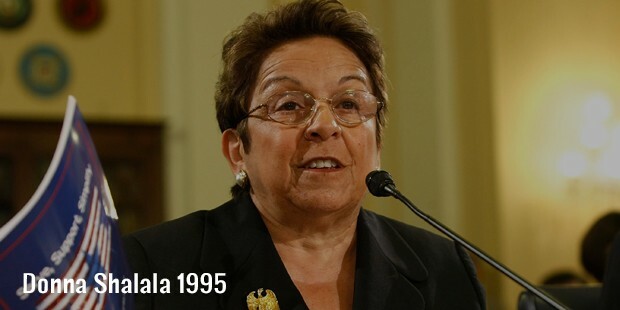 In fact, Shalala served for eight years in this position, and came to be known as the longest serving HHS Secretary. In 1996, she was the designated survivor during President Clinton’s State of the Union address. University of Miami had announced Momentum2, in February 2012, which is the Breakthrough Campaign for the University of Miami. 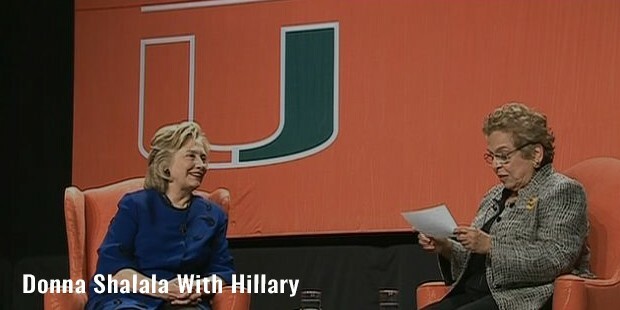 It was at this juncture that Shalala’s career ran into some troubled waters. She was criticized for her response to a nationally publicized custodial worker’s strike in 2006. UM's custodial workers being among the lowest paid university-based custodians in the nation had alleged that they were not earning a living wage.In 2015, she suffered a stroke, while leaving a Clinton Global Initiative event held in New York. 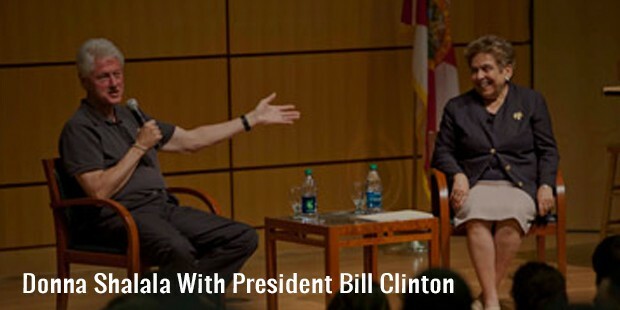 Shalala was selected to lead the Clinton Foundation after her retirement from University of Miami. During this time, she created a UM fundraising campaign called Momentum. 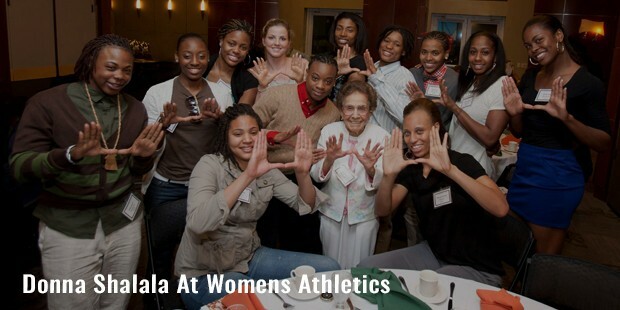 In 2007, Shalala was inducted into UM’s Iron Arrow Honor Society. She has also been elected to the Council on Foreign Relations, National Academy of Education, the National Academy of Public Administration, the American Academy of Arts and Sciences, the American Philosophical Society, the National Academy of Social Insurance, the American Academy of Political and Social Science and the Institute of Medicine of the National Academy of Sciences. Shalala has been questioned on her sexuality. There are rumors of her being a lesbian, as at the age 51, she remains unmarried.